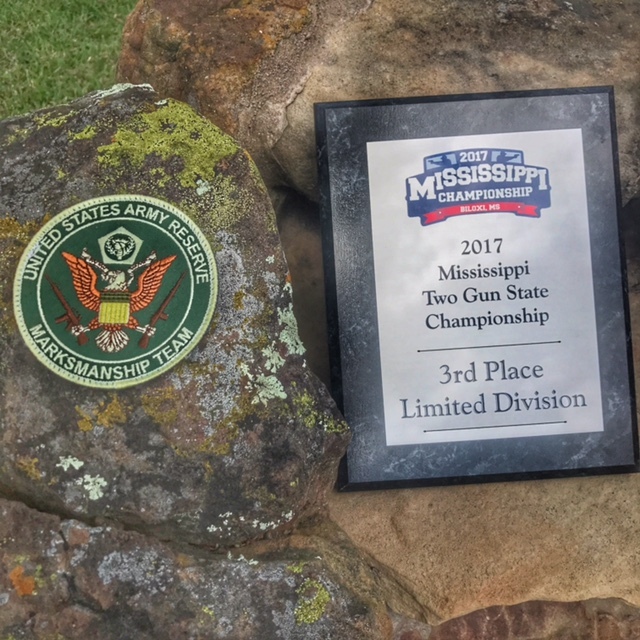 Congratulations to Combat Team member Major Luke Gosnell for his performance at the 2017 Mississippi State 2-Gun Championship. 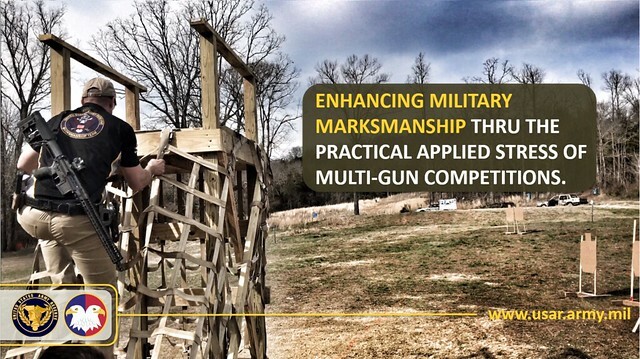 Examples of USAR sportsmanship and methods of training is winning its place among the leading marksmen of the nation. 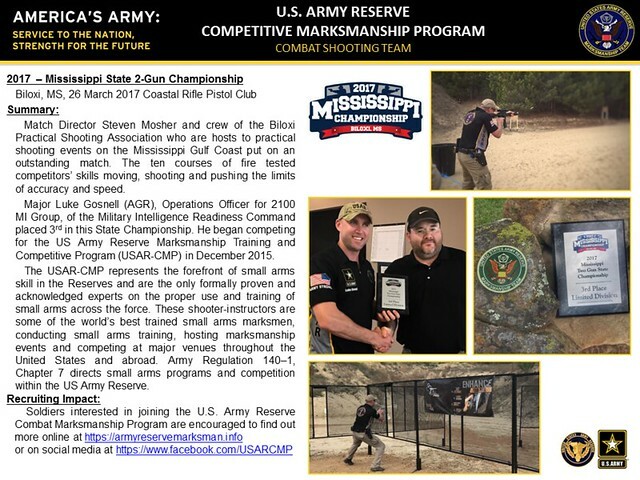 Soldiers interested in joining the U.S. Army Reserve Competitive Marksmanship Program (USAR CMP) are encouraged to find out more online at https://armyreservemarksman.info or on social media at https://www.facebook.com/USARCMP. Combat Team member Major Luke Gosnell participated this past weekend in a two-gun Biathlon in Kentucky which consisted of five stages of shooting rifle and pistol spread out over 3.5 miles of difficult terrain and obstacles such as mud pits, low crawling under barbed wire, climbing up a drainage tubes and over A-frames, dragging a 150lb dummy, use of a foreign military weapon and spelunking in cave with a headlamp and handgun. Shooting distances ranged from contact close to 300 yards under elevated heart rates in cold, raining and muddy conditions. 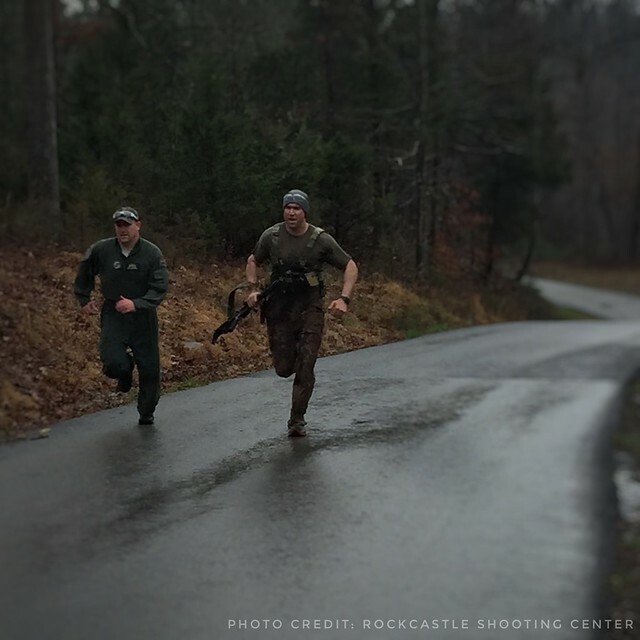 MAJ Gosnell had the 4th fastest run time of the 81 participants and with the shooting time and running time combined, he placed 10th overall despite equipment malfunctions. 31 of the participants were current service members/veterans, 15 x Army, 4 x Air Force, 6 x Marines, 4 x Navy, 2 x Coast Guard. Luke also took high military honors at the event. Practical induced stress shooting events like these test combat marksmanship, equipment, and readiness that cannot be achieved from shooting paper targets from a linear or square range. USAR-CMP participation in these events allows service members to network, exchange skillsets and then take the knowledge gained back to their home units and disseminate the skills down. A sample of some of the banners under consideration for USAR promotion at action shooting competitions to be used on wall barriers. What are your thoughts? 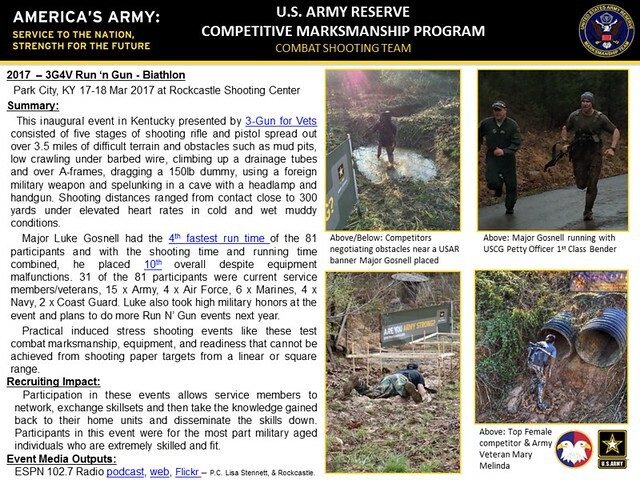 Please send any high definition photos to the USAR-CMP PAO for inclusion of this review that you feel would promote Army Reserve marksmanship.